Spurs and Monaco have both made €20m bids for France international winger Antoine Griezmann, reports Spanish publication MARCA. The 23-year-old wide-man has returned from World Cup duty with France, and both the Premier League and Ligue 1 giants want to tempt him to sign before the start of the 2014/15 campaign. However, Griezmann’s club Real Sociedad have flatly rejected both offers, claiming that they’ll only sell if someone meets his €32m release clause, and not for anything less. It’s understandable to see why, with the attacker having bagged 16 goals in La Liga last term despite starting from the left wing. If Tottenham were willing to pay the release clause, they’d be getting one of the most exciting young wingers in Europe. 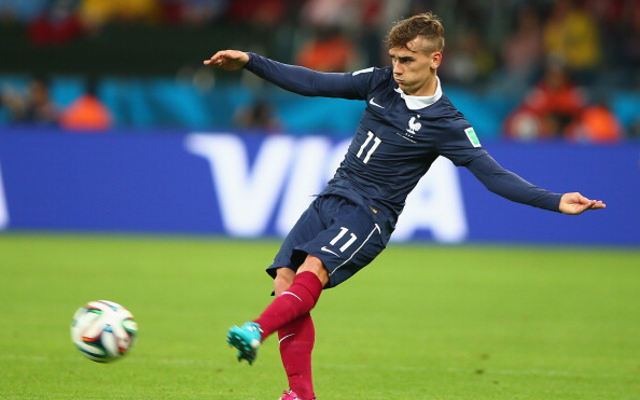 Griezmann can dribble, beat his man, and cut infield and either play an intricate through-ball or shoot on goal. New manager Mauricio Pochettino has yet to sign a player since taking the White Hart Lane reigns, although Welsh left-back is on the verge of completing a deal from Swansea.